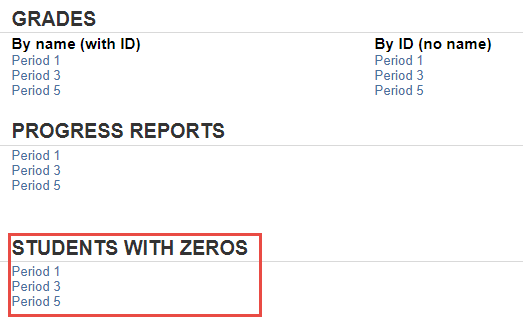 This article describes how to access a Gradebook report containing only students with zeroes, using School Loop Plus. 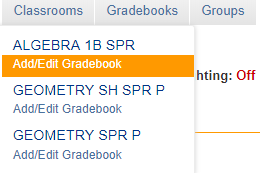 Click Add/Edit Gradebook for the desired course. Click the link for desired Gradebook. Scroll down to 'STUDENTS WITH ZEROS' and click on the desired section. The page displays the required data.